On Thursday 30th August, Irie Yo-Yo – one of Scotland’s finest band – are returning to the Horse & Groom Inn, for a Ska/Reggae Night. They are stopping off in Milcombe for a one-off performance before they appear at One Love Festival at Glastonbury. The live music will begin around 8:30. If you book a table for food before the music starts then it’s yours for he whole evening! When delving into Edinburgh’s live music scene, you don’t have to dig too deep to find yourself getting your knees up to the infectious grooves of Irie Yo-Yo. This eight-piece band is not only a collaboration of musical artists, but also an infusion of cultures. 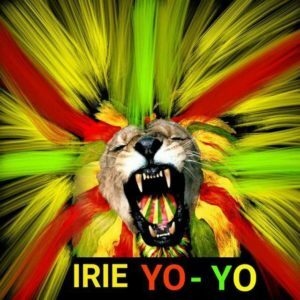 From the blue coastal waters of Malta to the sea shores of Portsmouth and Scarborough, Irie Yo-Yo brings together unique musicians from around the UK and beyond to get feet moving and booties shaking. Based in reggae and ska, with an eclectic mix of flavours including latin, jazz, drum n bass and dub, their fresh, distinctive sound always gets audiences bouncing.